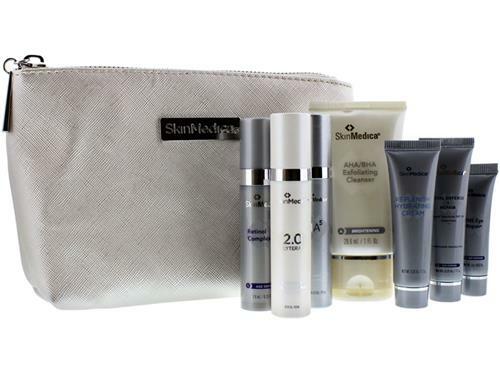 Defend, revitalize and detoxify skin with the SkinMedica LUMIVIVE System. 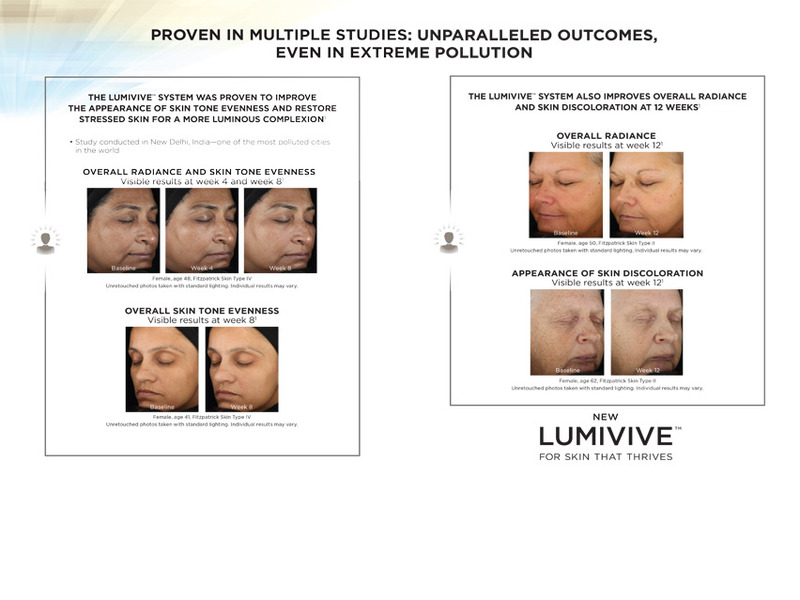 Meet SkinMedica's newest revolution in skin care: the LUMIVIVE System. Skin is exposed daily to pollution that can cause premature skin aging, pigmentation, dry or irritated skin and even blemishes. The LUMIVIVE System not only defends skin against these aggressors but also protects against blue light. Blue light is part of the natural spectrum of light generated by the sun but is also transmitted from our cell phones, tablets, computers, televisions and even fluorescent and LED lighting. Prevent accelerated skin aging such as dark spots, wrinkles and saggy or loose skin with this dual-acting solution from SkinMedica. Defend skin from environmental aggressors that can damage skin during the day with LUMIVIVE DAY, and revitalize and detoxify skin with LUMIVIVE NIGHT. This innovative system recharges the skin's ability to repair itself while amplifying the benefits of your existing skin care regimen. As an added bonus, it also increases skin's radiance by improving the appearance of an uneven skin tone and discoloration. 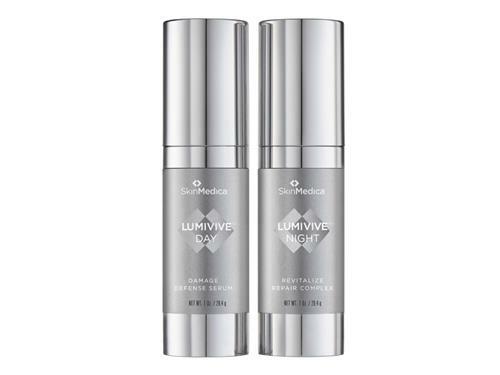 Achieve round-the-clock protection from skin-damaging aggressors with the SkinMedica LUMIVIVE System. Box contains one bottle of LUMIVIVE DAY and LUMIVIVE NIGHT (1.0 oz each). Tell us your thoughts about SkinMedica LUMIVIVE System and receive 50 rewards points! Love the system brightens the skin for daytime use and cellular repair for nighttime . I can tell a big difference! I love this set! it makes my skin glow. I have re-ordered. After using this product for several weeks, I think it is helping my overall complexion. Both the day and night serums are silky smooth and make your face feel moisturized. It seems to give your face a brighter look. I purchased this product as I work outside and wanted the protection from free radicals and pollutants. I would purchase again. I used Lumivive for the last month. I work at medical skin care clinic and had great presentation for stuff on that product. I am always skeptical to claims and new products, but 2 week results with Lumivive are true! I use products as directed and skin looks healthier and more radiant. Definitely see the difference and co-workers and clients comment on glowy healthy skin!